Often, people who are interested in home theatre systems are determined to get the whole shebang in one day. There’s no waiting. They want the tech – all of it – so that they can get the experience – today! We say “slow the bus!” You can’t walk into a place and walk out 20 minutes later with the best in home theatre systems. If you have, we think you’ve regretted what you ended up paying for? Are we right? We understand the urgency to get to the experience when it comes to home theatre systems, but you must take a minute to consider your options, do some homework, and think about what you want to get out of the setup. There’s so much exciting stuff out there, and you don’t have to be paying an arm and a leg for it. It’s more about knowing which components will work well together, especially in the space you’re setting them up in. It’s also important to take everyone in the household into consideration. Home theatre systems are designed to please, so it’s pretty easy to find a setup that’s going to work wonders for your family. And, boy, is your family going to love you once that home theatre is rocking! It’s a whole new ball game; a totally immersive viewing and listening experience. 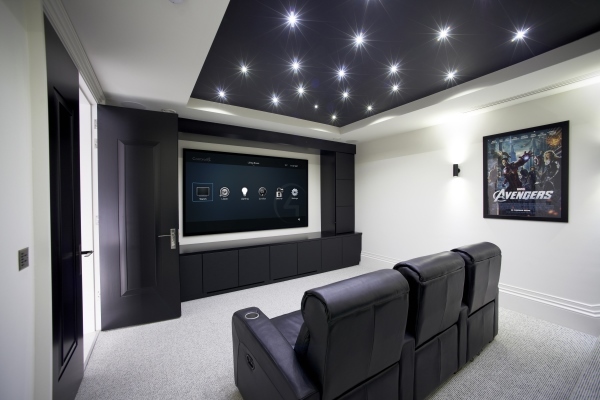 You can make the home theatre system as simple or sophisticated as you want, even customising it to your every whim. All you really need to get started is a reasonable amount of space and the right products from a reputable company. The basis of good home theatre is sound. There’s no point in being all kitted out and then when the moment arrives, the sound lets you down and you may as well be streaming a movie from your laptop. When it comes to AVRs, Denon leads the pack. They’ve developed the first 5.1 channel AV receiver. This marvel of home theatre tech will drive your favourite speakers and any HEOS wireless speakers as surround channels. Choose your favourite setup and elevate your experience to another level – which is precisely what you want out of your entertainment. We’d be doing you a disservice by not mentioning Rotel’s RMB-1585 – their new flagship theatre amplifier. It provides both the massive power and sonic sophistication required by the finest home theatre systems. With five channels, each capable of producing 200 continuous watts into 8-ohm loads (a full kilowatt of output power! ), the RMB-1585 masters any A/V system, regardless of speaker load or room size. Homemation knows home theatre systems. Contact us today for more information regarding the setup of your dreams. This entry was posted in Home Theatre. Bookmark the permalink.